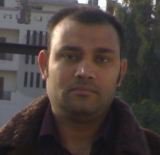 Sukhwinder is a freelance web developer from India with over ten years of professional web development experience. Has other graphic designers working with him. Contact Sukhwinder - sukhruprai@gmail.com (+91-98158-00532) for any kind of web development work. Full time job may also be considered depending upon work location. See web development and software development work he has done. This page is not updated. Latest freelance web development work is here. Here is his linked.in profile. Company : Creative Web Designers (I) Pvt. Ltd.
Work Details : Worked as a senior web developer and lead a small team here. Took care of web development, client meetings through text and voice chat. Company : Creative Web Designers India Pvt Ltd.
Work Details : Worked as a web developer. Main job here was to do web development using php-mysql-apache asp/asp.net, Java Servlets, JSP and to develop software in Java. Work Details : Worked as a web developer at King InfoTech Software Solutions a web development company based in Ludhiana-Punjab-India. Only some projects have links. Links to other work can be provided if asked for. For the past three years (2015-2018) I was working on a single project full time, which involved writing modules using PHP, Mysql, AJAX for an aggregation system. This system is used in both UK and USA. This system has been online since 2010 and development is continuous. Developed modules like CRM, Custom Template Emails, Report Builders and worked on other day to day customisations of whole system. HelpMeMisterWizard.com. A fun reminder service. Admin has option to change any part of the web site using admin panel. Worked on a project called Students Behavior Management System. It involves ranking students of schools in a district based on their behavior. Students are ranked on various objectives like whether student attends class, is on time in class, begins task promptly and so on. There are 15 objectives in total. There is admin who could add schools, teachers, case managers and students etc. A single case manager is assigned to each student and multiple teachers are assigned to each student, one for each period. Each teacher can take more than one period. Teachers can add score from 1-5 for each week for every behavior for every student assigned to them for every period they are taking. Based on the these scores reports are created for students. There are yearly and weekly reports for district, schools, teachers, case mangers and students. It displays reports in tabular and graphical form how students in district overall, in each school, or assigned to each case manager or teacher are performing in each behavior. PHP and Mysql were used to develop this. Hrgeo.dk is a fun danish web site. Though primarily targeting danish users, it provides users the option to switch the language to english so menu items/messages etc. appear in english. Web users fill a simple registration form and then are able to browse and download wallpapers. User has the option to submit wallpapers and if approved they appear on the web site. Also provides users the option to select an RSS feed he wants to view when he visits the web site. So whenever user logs in to web site he can view his preferred RSS feed. PHP and Mysql were used to develop this. Dujes is a Slovenian online humoristic newspaper, based upon a humoristic radio broadcasting. Is meant to be an online community of people sharing their stories and humor online. BigmovieDatabase. Not open for users. A movie database done using php and mysql. Requires paid registration. Huge database of movies containing thousands of records. Many types of users with different roles manage the database. An SMS application for searching pizza shops in UK. An SMS is sent using a mobile to a fixed number with a postcode and at random 3 restaurants / pizzerias existing in that postcode area are returned. Records of messages sent / received are made for detailed reporting. Mysql and PHP were used to develop this application. Searches can be made online and by SMS. Contact for a demo. A shopping website done using php and mysql. Payment options include paypal and others. Canlaw.org. A database of lawyers. Registration is not free. Users pay to search the database for a limited period. Access depends upon how many days access user has purchased. Online Shopping application using JSP, JavaBeans and Servlets. Here is the zip file containing a war file of this online shopping application. Chat application with different rooms using JSP and Java Servlets. This application can be downloaded here. Another chat application using Java RMI and Swing with public, private rooms. One more chat application. It uses an applet and a chat server using Java Sockets. It is a simple, multithreaded chat application which supports only a single room. But applet will work in web browsers because instead of using RMI, it uses sockets. This application can be downloaded from here. Implemented replication between SQL Server 2000 and SQL Server 7.0 to put only result portion online. Database was developed by some other company which refused to cooperate. From more than 70 tables around 10 tables had to be found which were related to result without the help of software by just studying the database. Dynamic images are also assigned to each page of the website. ASP was used to do this website. Internet / Intranet application for a finishing school. They teach cooking, dancing, languages and various other things. This web based application included, modules to manage students, their admissions, attendance, exams, results etc., stock, jobs, immigration and many more things. They also wanted that they should be able to work offline and then synchronize data with database on the web. And then they wanted software to keep separate records for each of their branch and that each branch should be able to synchronize its data with database on the web. It was a big project. PHP-Apache-MySql was used for this project and it took around 3 months to complete and whole time was not devoted only to this project. About 270 PHP files were written for this project. Another intranet application for a driving school. First challenge was to extract data from a Zope application and then write the application using PHP-MySql. First had to learn about Zope and then zodb and then python. After extracting data it was exported to MySql database and application was re-written in PHP and about 220 PHP files were used. 2 Matrimonial sites. PHP and MySql were used for developing these web sites. A Yellow pages site. The database for this site was already created. Had to provide web interface for searching / adding new addresses. Other options were to add provide facility for advertisement bookings, free listings etc. ASP was used for this site. Another intranet application similar to address book of outlook express. Same options were there for adding new identities and for keeping contacts of each identity separate. Online testing software to take tests on various topics. It was written using PHP and MySql. http://www.knitwearclub.com (maintained by some other firm now) a website dedicated to knitwear and allied Industry. This website was launched on November 6th, 2000. This website provides information about all the members of the Knitwear Club, products they manufacture and sell and other information. ASP and VBScript was used as server side programming language and SQL Server 7.0 as database. Under the main website http://www.knitwearclub.com many members wanted to create their own website like http://www.knitwearclub.com/member1, http://www.knitwearclub.com/member2 and they wanted that each member should be able to manage his website himself. The most important part in development of this site was to implement a system where each member should be able to manage, upload and delete his own files himself (like the one used by http://www.geocities.com ). So, implemented a security system so that a client could manage only his own site. Completed within 20 days. A project to computerize the marriage registration for Punjab government and make it web enabled. Visual Basic 6.0 was used as client and MS Access was used as a database. This project was completed within a week. An alumni site for a local school. First it was created in PHP and later in ASP. Online result for a local school. ASP and Access were used. Database was designed by some other company for a desktop Application. For an article on compiling PHP created an interface in asp to see who is visiting the page. It provides detailed view of every hit. http://www.dreamweaversindia.com. Managed by some other company now. Online training site for insurance professionals. PHP and mysql were used. Paid registration is required to use the website. Many others in last year or so. Experience in maintenance of Internet Information Sever 4.0 - configuration and Hosting of Web Sites, NT Server 4.0 and MSSQL Server 7.0 - user management and security. Managed everything from web development to uploading and maintenance. Loves exploring newer languages and technologies on Linux and Windows Platform. Earned more than 10 brainbench certifications in Java, ASP, PHP, SQL Server etc.